What an exciting launch! Now that you've met everyone I thought I'd share this early literacy FREEBIE with you! It was on my blog a few weeks back, but since we're all making new friends here you might not have seen it! This summer I'm co-leading a summer literacy group for students 5-8. Our group is a mixed bag of pre-readers and readers. 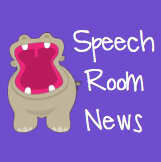 We have children with Down syndrome, Autism and language disorders. Our focus this summer is mostly skills such as segmenting syllables, rhyming and letter ID. To make that work, I'm playing with watermelons! This freebie is a group activity where the group can chant the Watermelon rhyme. Then let the kiddos take turns grabbing watermelons from a bag and determining how many syllable parts are included. Clap it, tap it or heck 'chomp it' to give your students the multisensory experience! 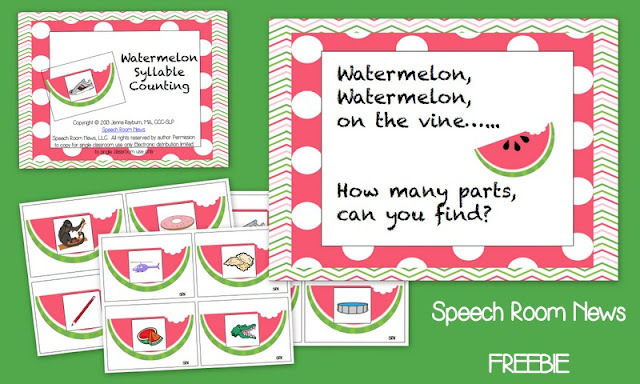 You can grab my Watermlon Syllable Counting Activity for free on TpT. We followed up with Raffi's Down By The Bay. I have it in my iTunes account, which is only a little bit embarrassing when it comes on over the Bluetooth in my car. 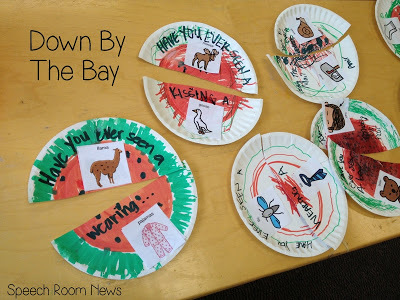 After we sing this a few times, we will make our own class book with this TpT freebie I found"Down by the Bay Book Freebie". With a focus on segmenting and rhyme throughout the first week we should have a better idea where our students are starting from! My co-worker Meghan even made up these adorable watermelon crafts! I bet you can't guess what we had for snack! Enjoy the freebie and make sure you leave feedback if you take it! What are you up to this summer? !